Streatham Redskins moved back to the top of the South 1 table after their 9-5 home win over bottom club Oxford City Stars saw them overtake defending Champions Chelmsford Chieftains, whose own win away at Oxford 24 hours earlier had seen them briefly reach the summit. Wightlink Raiders are 3rd following their 6-2 win away at London Raiders and Invicta Dynamos picked up a 9-5 win at home to Solent Devils. Milton Keynes Thunder continued their superb start to the season with an 11-5 win over London Raiders on Sunday night. Thunder are in 4th place, level on points with Wightlink and have taken points off all teams above them so far this season. In the South 1 Cup Group B, Streatham held group leaders Invicta to a 4-4 draw and picked up their 1st point in the group. Following an unbeaten weekend, the Redskins have now put together a 9 game unbeaten run. 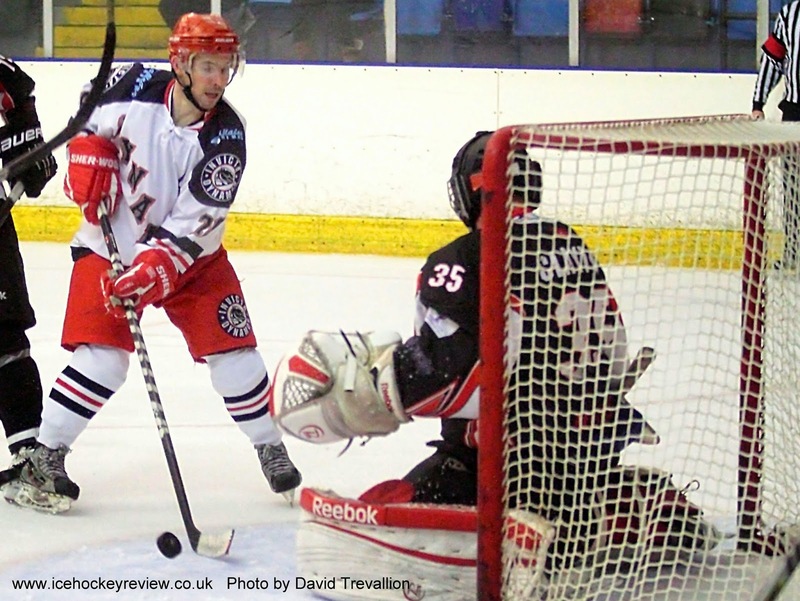 Chelmsford lost 4-7 at home to Milton Keynes Lightning EPL team in the ECCS on Sunday. They scored first after just 2 minutes and remained on level terms at 2-2 until midway through the game. 4 goals in three minutes at the start of the third period put the game out of reach of the Chieftains, who were outshot 25-50 over the 60 minutes.